With the announcement of Fallout 4 this past week, the previous two Fallout games have been getting a lot of love again. Both Fallout 3 and Fallout: New Vegas have seen huge jumps in sales this week, and the ultimate / game of the year editions of both are currently on sale on Steam for $11.99 each ($4.99 for the standard editions) until tomorrow morning. If you haven’t picked up either game before, now is definitely a great time to do so. 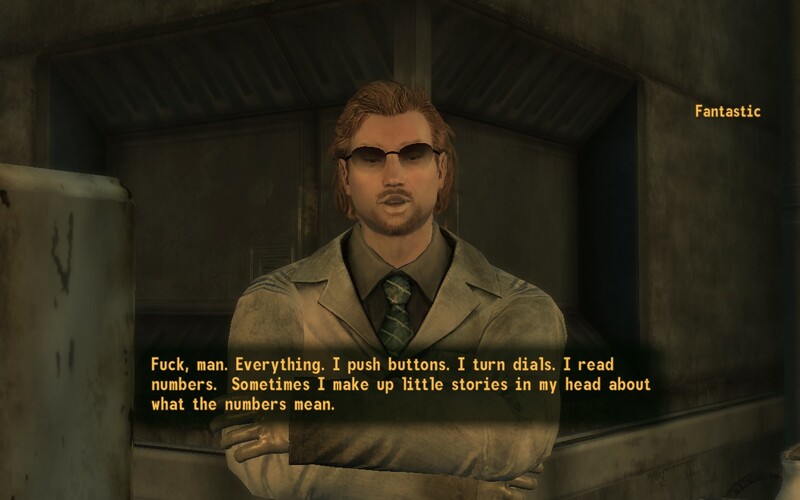 I spent a couple hours digging back into New Vegas today (probably too much time really) and it’s been a blast! 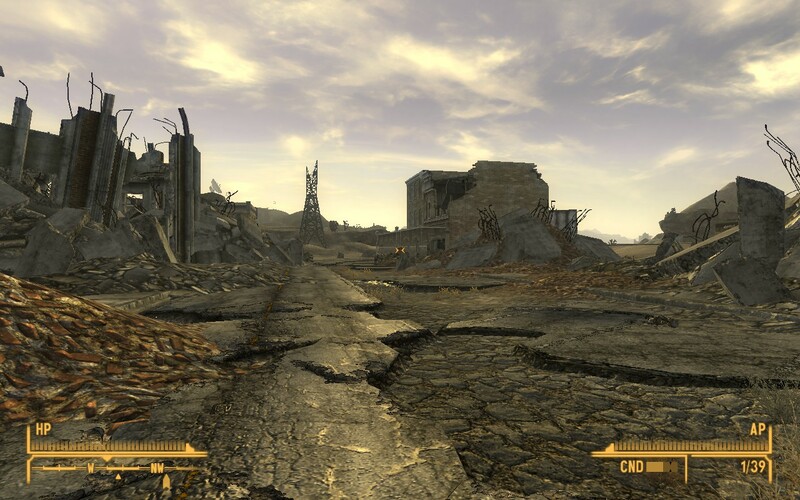 I originally played both Fallout games (referring to 3 and New Vegas of course) on the 360, but now I’m playing through them on PC. 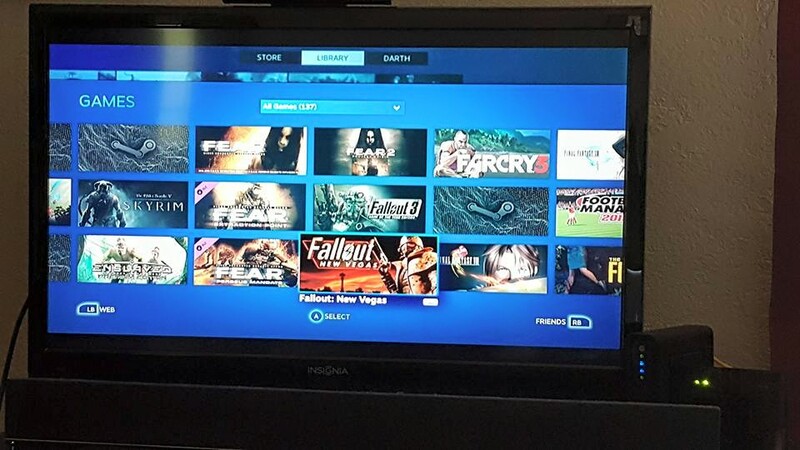 I hooked my MacBook (running Windows 10 Preview via Boot Camp) up to the TV and checked out Steam’s Big Picture mode, which I hadn’t really used before. It’s pretty cool to navigate my games on the TV using a controller and I really like the interface. It’s also nice accessing Steam menus in game by pressing the home button on the 360 controller. I had some great fun on some missions I either breezed past or completely ignored during my initial playthrough years ago. I’ve been taking my time making sure I get the most out of New Vegas this time. The three missions I undertook today were incredibly enjoyable, however it took forever to find the three boxes of Sugar Bombs required for the delightfully mischievous conclusion to the Come Fly With Me quest. It was entirely worth it though, as the quest now ranks as one of my all time Bethesda favorites. Not long after I embarked on That Lucky Old Sun in which you encounter the hilariously awesome “scientist” who goes by the name Fantastic. I can’t wait to play more of New Vegas! 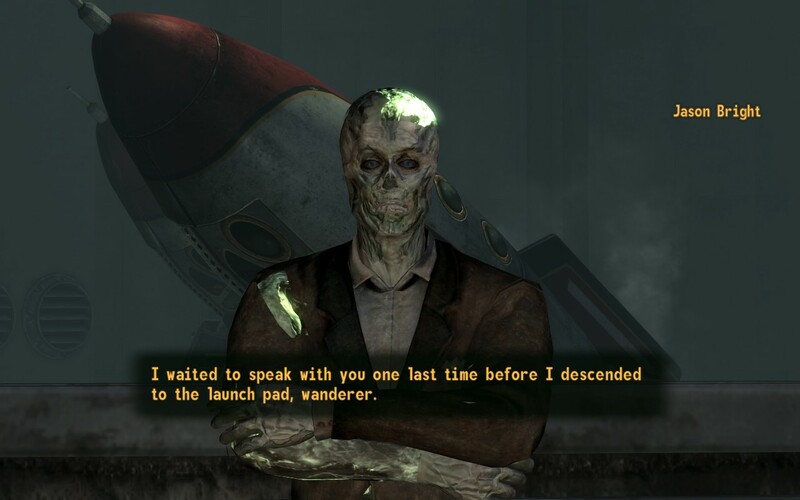 How about you, are you going back and playing the previous games in anticipation of Fallout 4? 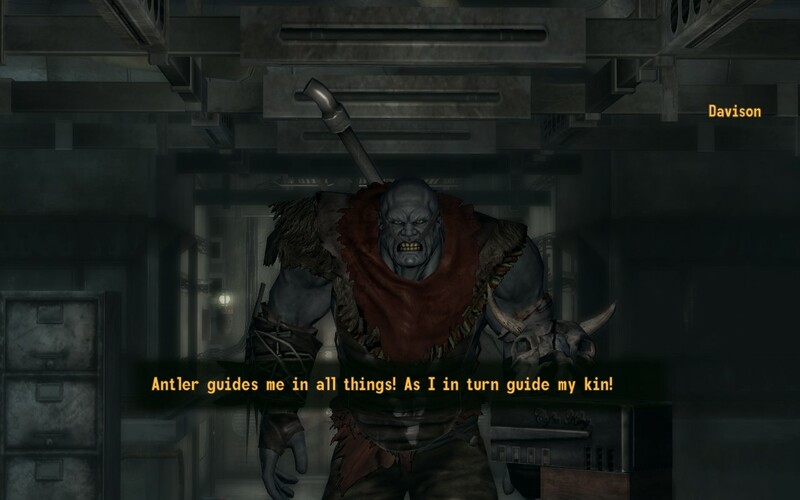 This entry was posted in Video Games and tagged Fallout, Fallout 3, Fallout 4, Fallout: New Vegas, PC, sale, sales, Steam, steam big picture, video games. Bookmark the permalink.